A right-wing think tank bankrolled by wealthy interests is offering high school students thousands in cash incentives to write essays bashing minimum wage hikes. According to internal e-mails reviewed by PressProgress, the Ottawa-Carleton District School Board recently circulated materials promoting an “essay contest” organized by the right-wing Fraser Institute to principals and office administrators at high schools across Ottawa. The Ottawa-Carleton District School Board did not immediately respond to a request for comment from PressProgress. And Statistics Canada data shows less than one-third (32%) of Canada’s minimum wage workers are teenagers between the ages of 15 and 19. 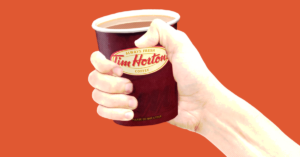 In fact, Statistics Canada data shows that among Canadians earning less than $15 per hour – in other words, people who would see an immediate raise following a $15/hr minimum wage increase – the vast majority of low-wage workers (59%) are actually 25 years or older. 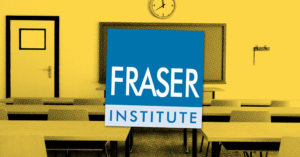 School boards might want to carefully vet materials from the Fraser Institute. The right-wing organization’s Executive Vice President once told a workshop funded by a network of wealthy Republican donors that includes the Koch brothers that the Fraser Institute’s work on school rankings is designed to serve a political “communications agenda” aimed at promoting the privatization of schools. In fact, Munk donated $5 million to the Fraser Institute in 2016, establishing the Peter Munk Centre for Free Enterprise Education, an arm of the institute that runs workshops for teachers, produces anti-climate change propaganda for classrooms and, apparently, offers teenagers lucrative cash incentives to write essays. 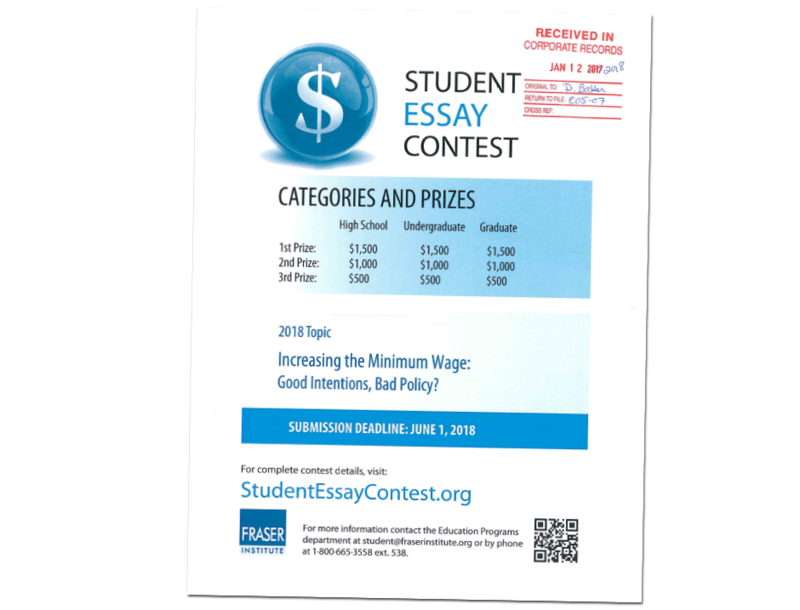 The Fraser Institute’s anti-minimum wage essay contest is listed as a program of the Peter Munk Centre for Free Enterprise Education. UPDATE: Following publication of this story, school board trustees announced the OCDSB has pulled the Fraser Institute’s essay writing contest from Ottawa-area high schools. So your boss is having a meltdown and taking out their emotions on you and your co-workers because Ontario finally raised the minimum wage. That’s a very real question for Ontario’s most vulnerable workers. Even though many businesses are managing to adapt and remain profitable, some bosses are punishing workers – in some cases, potentially illegally too.